In 2007 Steve Jobs introduced the original iPhone. I wasn’t a big fan of Apple at the time and didn’t notice the iPhone until iPhone 3 was released (I was using Palm phones at that time). But yesterday I happened to come across the original iPhone release keynote and it was eye opening. An MVP allows you to validate your market hypothesis (that a market exists for this product) and the technical risk (that the product can be engineered). Here’s a device that had a limited number of apps, no way to load more (except as browser apps, which few were going to do), no copy and paste, no notifications, no connection to an Exchange server back-end. The entire product was a MVP trial balloon and it is easy to discern the hypotheses. Would people be okay without a keyboard? Would the full Internet really work on a portable device? Could we charge a full price for the device so we can minimize the carriers? Can we get carriers to allow us to be the ones who distribute the OS? Will people accept the phone as an app? Will people accept using the browser for apps instead of loading them onto the device like every general-purpose computing platform before it? Will people prefer to carry a single device that does everything over distinct devices like iPods? But could Apple have released something simpler to test these hypotheses? Perhaps. They could have licensed a mobile OS and manufactured a touchscreen device for it. That’s what a smaller startup might have done if they felt strongly that all-touchscreen was the way to go. But as the Windows 8 debacle has shown, a touchscreen OS is fundamentally different than a non-touchscreen OS, and mixing the two conceptual models does not work well. Also, Apple didn’t want to let their competitors know what they were up to – not that that would have made a difference; Nokia, Palm, BlackBerry and Microsoft all laughed at the first iPhone (at least publicly). 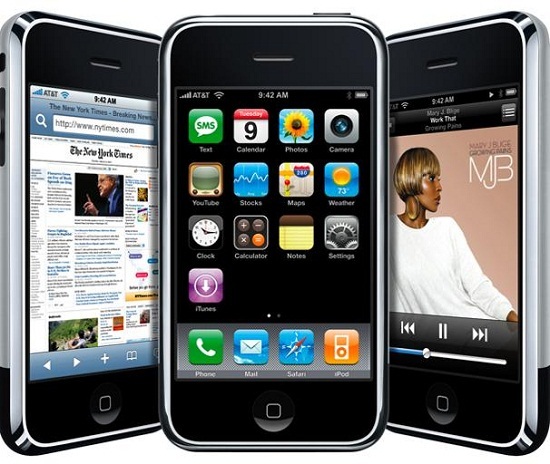 Considering integration of touch phone capabilities, iPod features and internet were the key selling points of iPhone at the time of its launch, Apple could have tested waters with a viable product that only had one of these options or everything on an inferior scale. But the problem with this is that an MVP needs to be a product that early adopters will actually pay for, e.g. viable. I think Apple identified (correctly) the set of features that would cause early adopters to part with their $ and allow Apple to test their secret / point-of-view. Remember, the original iPhone was not a runaway success. It wasn’t until subsequent iterations of the phone and app store that the iPhone really started to take off. This entry was posted in Uncategorized and tagged apple, iphone, product management, steve jobs. Bookmark the permalink.